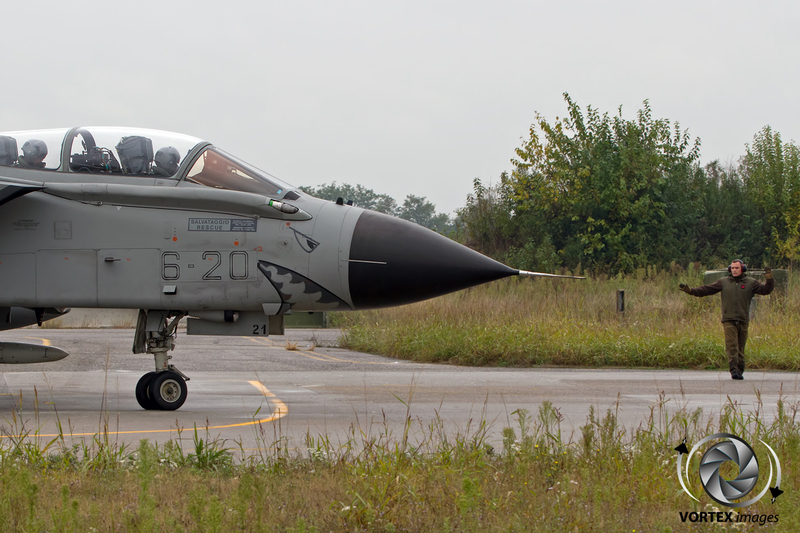 Located in the province of Lombardy, near the town of Brescia, is Ghedi airbase, home of 6 Stormo (Alfredo Fusco). Since the disbandment of 50 Stormo , and the transfer of 155 Gruppo here, Ghedi and 6 Stormo now harbor all the Italian Air Force Tornado squadrons. 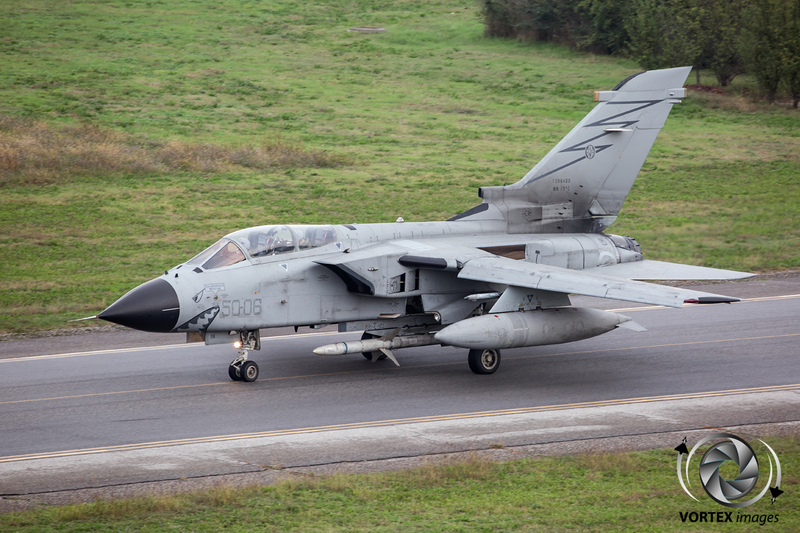 6 Stormo (6th Wing) was established on 15 January 1936 at Campoformido near Udine, and initially consisted of two fighter squadrons. 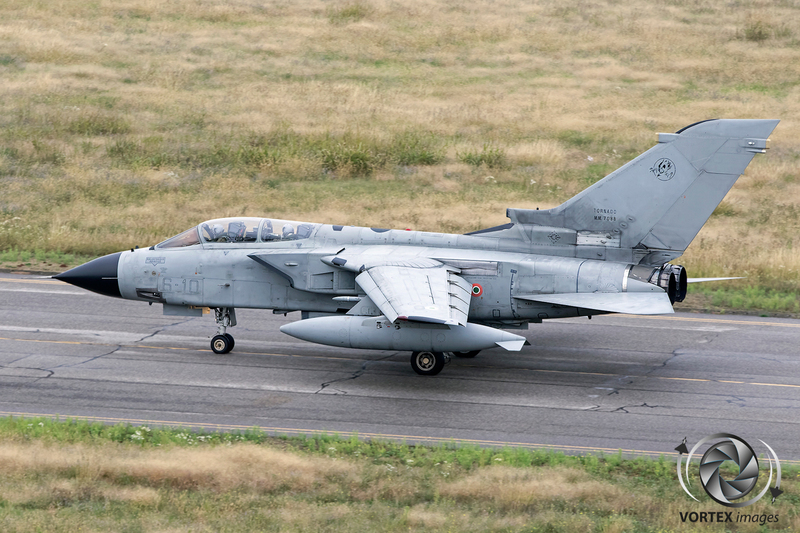 In June 1940 these two squadrons deployed to Puglia and Sardinia to operate in the Mediterranean and North African theatre. After the Italian armistice in September 1943 the wing was disbanded, but in early 1951 the Wing was reactivated and started flying the legendary P-51 Mustang whilst operating from Treviso. 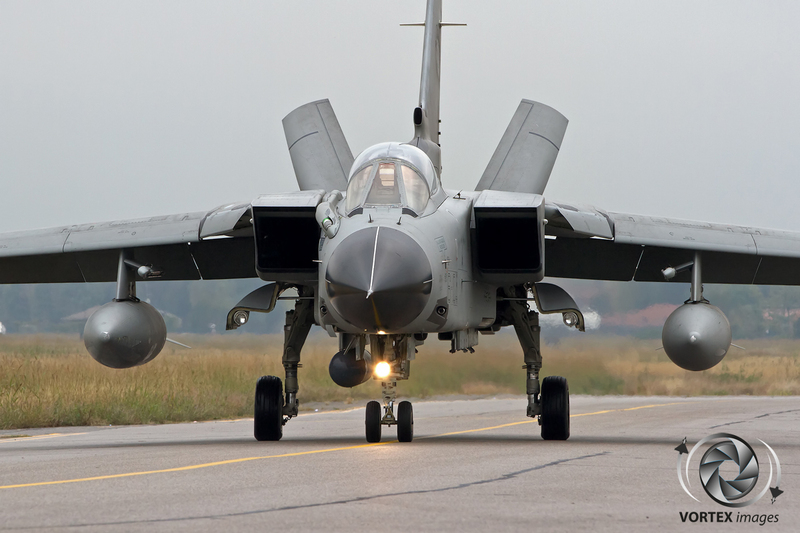 At the end of that year, the Wing, which by that time had two squadrons (154 and 155 Gruppo), was moved to its current location at Ghedi. The Mustang was operated until 1956, when the Wing introduced its first jet aircraft, the Republic F-84F Thunderstreak. Between 1957 and 1959, 154 Gruppo performed internationally with its own Aerobatic Demo Team, dubbed the Red Devils. Two years later another demo team was started, this time by 155 Gruppo, calling themselves the Black Lancers. Another legendary aircraft operated by 6 Stormo was the Lockheed F-104 Starfighter. The first F-104’s came in to service in 1963 and like in so many NATO countries this aircraft fulfilled many roles and was loved by its crews. 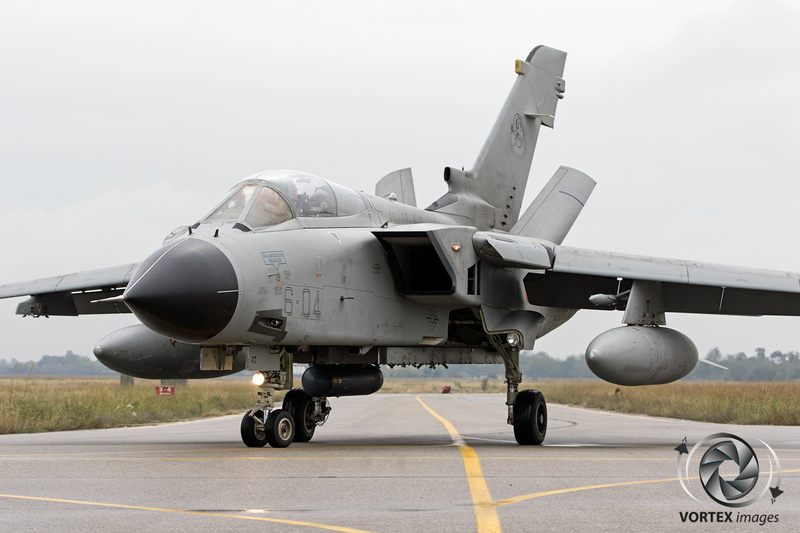 In 1982 the Wing received its first Panavia Tornado aircraft, and 155 Gruppo moved to Piacenza to become part of 50 Stormo. 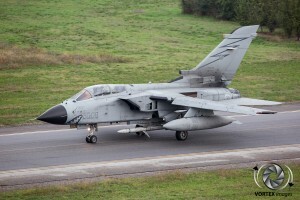 The Tornado is a twin-engined, two-seat, all-weather, day/night attack and reconnaissance aircraft. 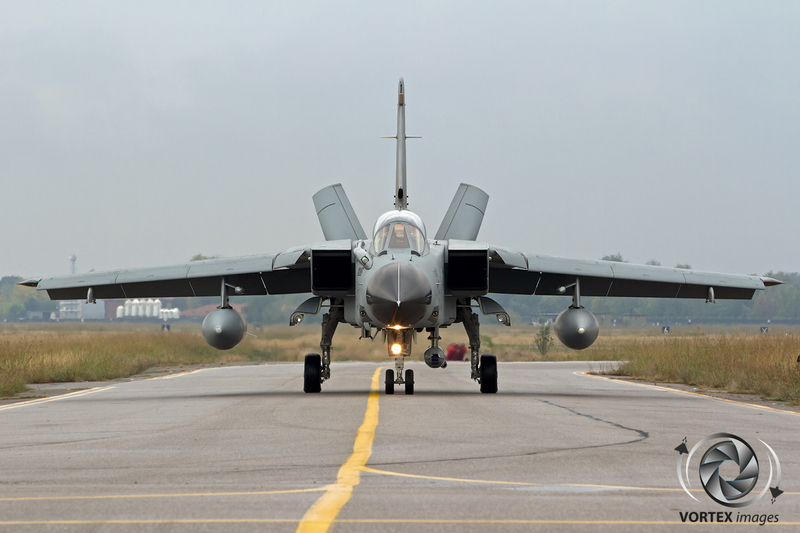 To perform well as a supersonic strike aircraft, it was considered necessary for it to possess good high and low-speed flight characteristics. To achieve high-speed performance, a swept or delta wing is typically adopted, but these wing designs are inefficient at low speeds. 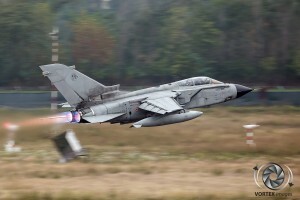 To allow it to operate at both high and low speeds with great effectiveness, the Tornado uses a variable-sweep wing. 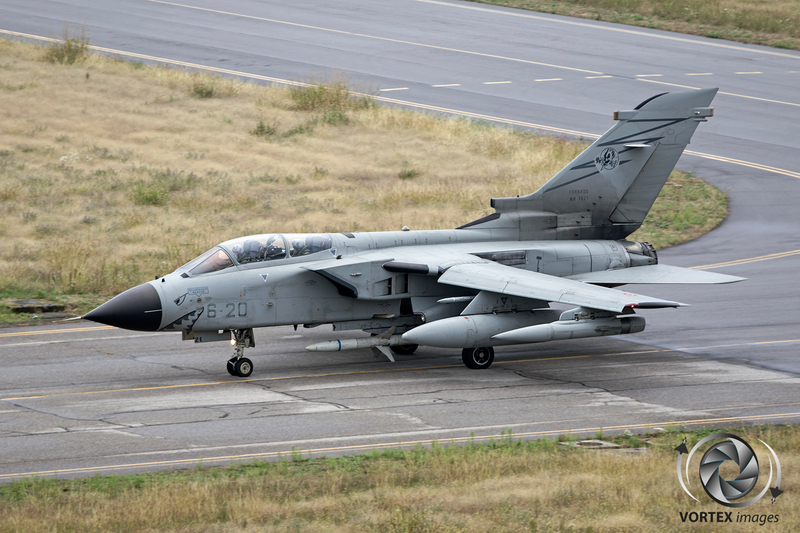 Having been in service with the ITAF for almost 35 years, a combination of numerous enhancements and major upgrade programs have made sure that the Tornado remains one of the premiere ground attack aircraft within NATO. 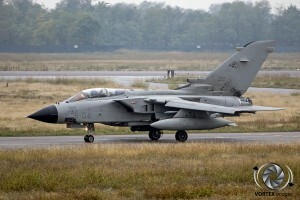 The Italian Air Force has stated that it plans to keep the aircraft in its inventory till at least 2025. 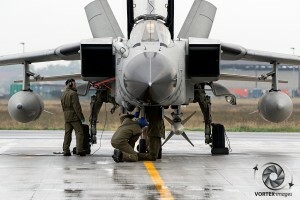 In this past year a lot has changed for Ghedi airbase and 6 Stormo. 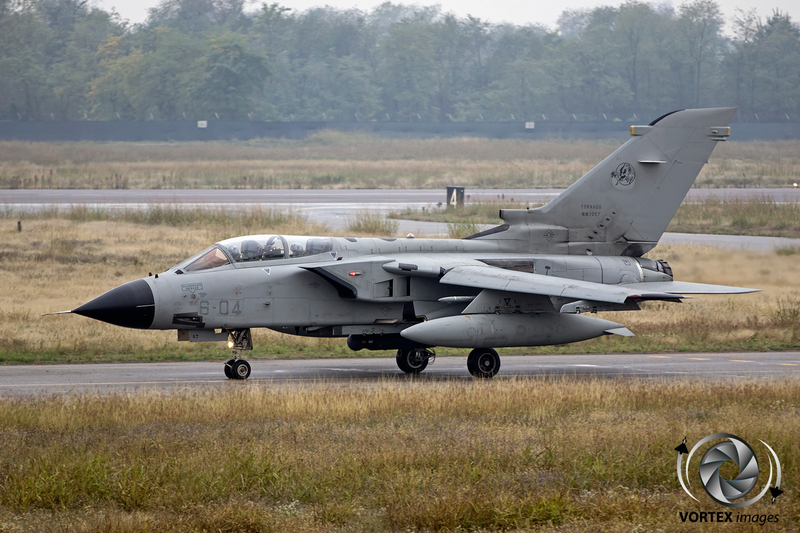 Recently 50 Stormo was disbanded at Piacenza airbase as that location will become a Deployable Operating Base without any units permanently based there. 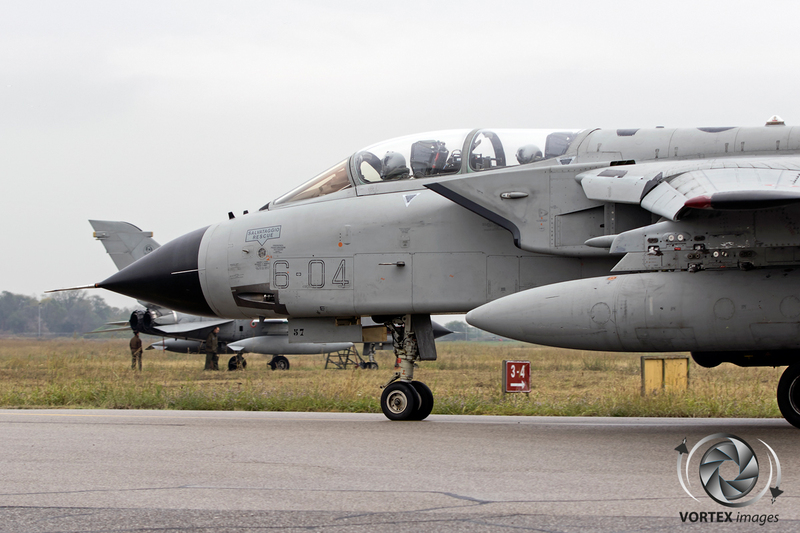 This resulted in 155 Gruppo “Pantere Nere” (155th “Black Panther” Squadron) moving with their Panavia Tornado ECRs (designated within the Italian Air Force as EA-200Bs) to become part of 6 Stormo at Ghedi. As a result of this move, 156 Gruppo “Le Linci” (The Bobcats) was disbanded on the 14th September 2016 to make way for the new unit. 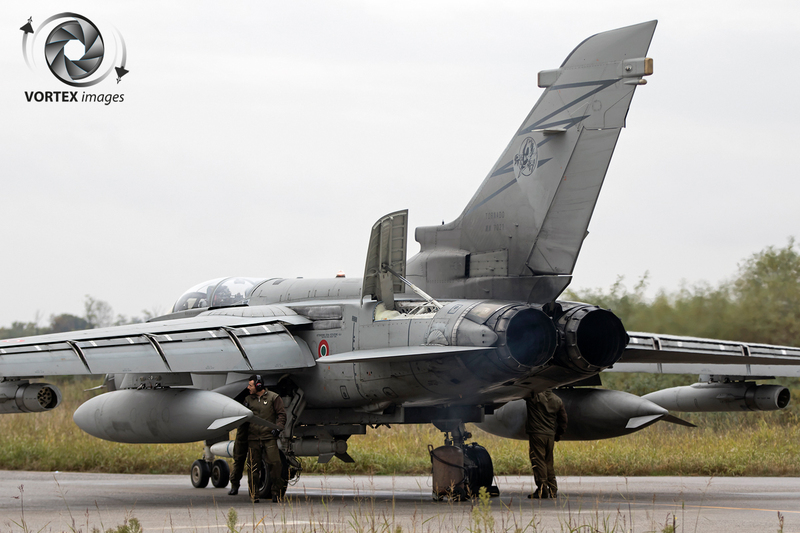 Besides 155 Gruppo, 6 Stormo also consists of two other squadrons. 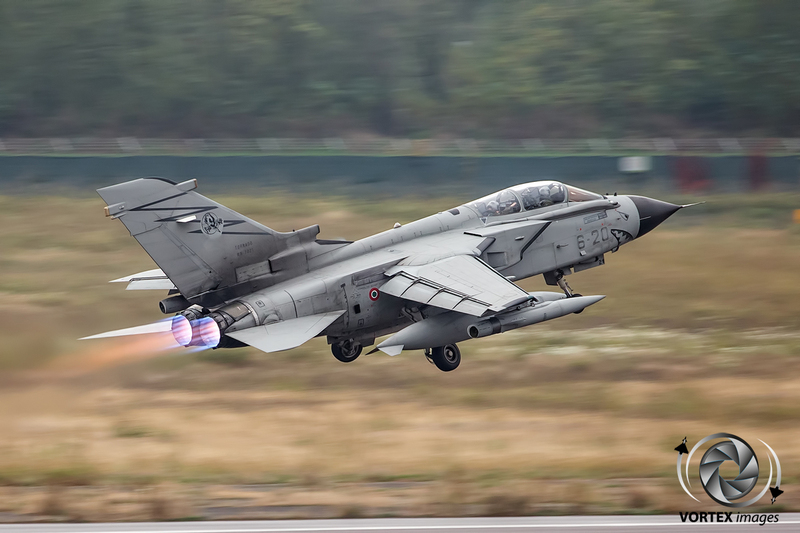 The first of these is102 Gruppo “Papero Incazzato” (The Angry Ducks), which is the Operational Conversion Unit (OCU) for the Italian Tornado force. In 1999 the Tri-National Tornado Training Establishment (TTTE), originally created by the Royal Air Force, Luftwaffe and Italian Air Force, was deactivated at RAF Cottesmore, and since then 102 Gruppo has been responsible for the training and conversion of the Italian Air Force Tornado crews. 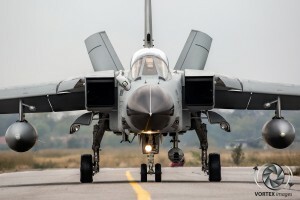 Before the pilots can join 102 Gruppo they first have to graduate from the Air Force Academy (Accademia Aeronautica) in Pozzuoli. 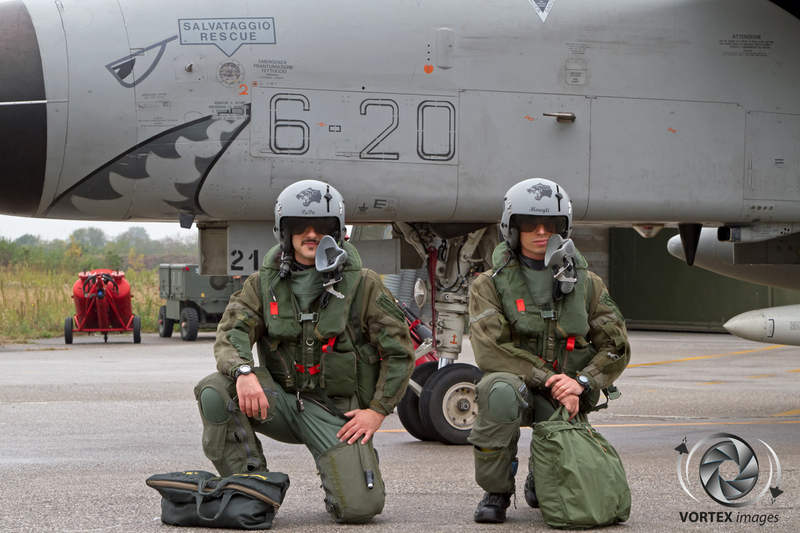 After this, they proceed to the Initial Flying Course at Latina Air Base where the students fly the SIAI Marchetti SF-260EA. 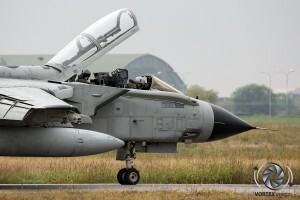 Those students fortunate enough to be selected as fighter pilots, will over the course of 18 month learn how to fly fighter jets at either Lecce-Galatina airbase (on the MB339CD), or at Sheppard Air Force Base (flying the T-6C Texan II and Northrop T-38C Talon on the ENJJPT course). 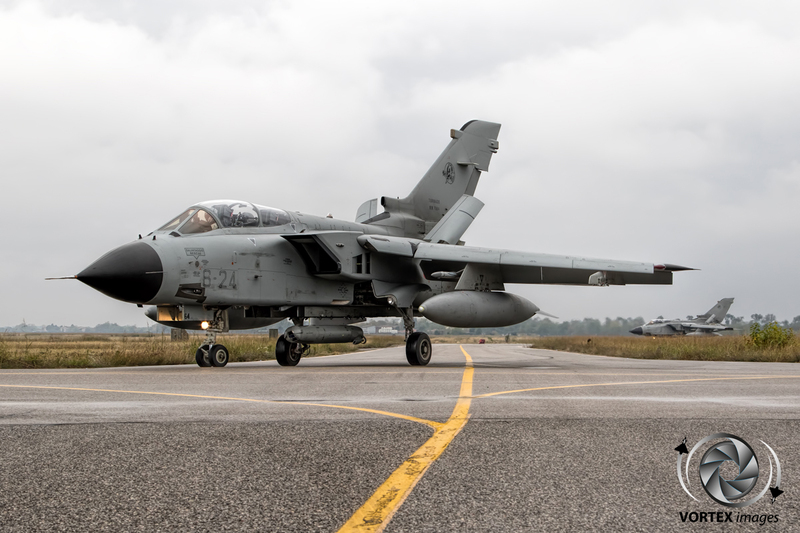 After this the students transfer to 102 Gruppo for 6 months of additional training, where they will either trained as a Tornado pilot or a Tornado Weapons System Officer (WSO). 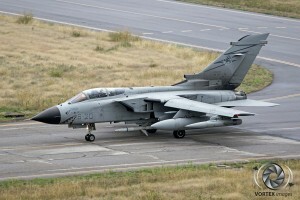 For the majority of the course 102 Gruppo makes use of the Tornado IDS(T) and IDS variants which are known within the Italian Air Force as the TA-200B and A-200C respectively. 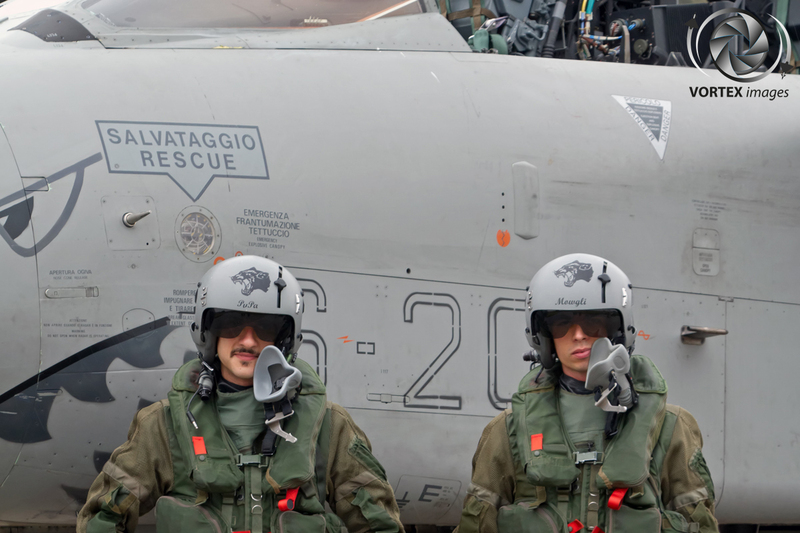 Should the pilot or WSO be selected to become part of 155 Gruppo, additional training is performed on the EA-200B in order for the crew member to be able to master the specific tasks that 155 Gruppo performs with their EA-200B aircraft. The Italian Tornado force, as part of NATO, also takes part in many of international exercises together with the other NATO partners. 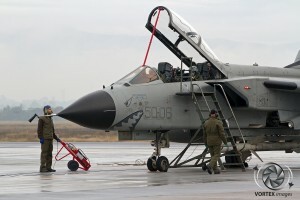 One of the more well-known exercises is the TLP which is located in Albacete, Spain. 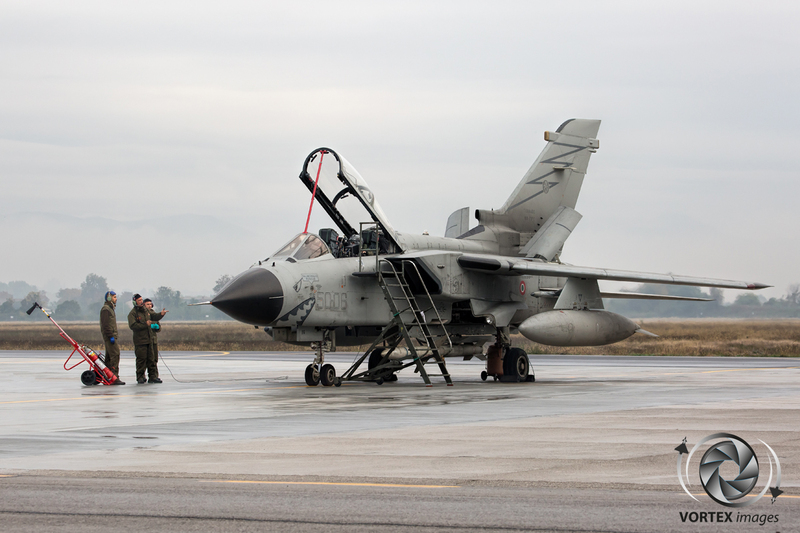 These exercises only involve 154 and 155 Gruppo, as 102 Gruppo has the OCU task only and no operational role. 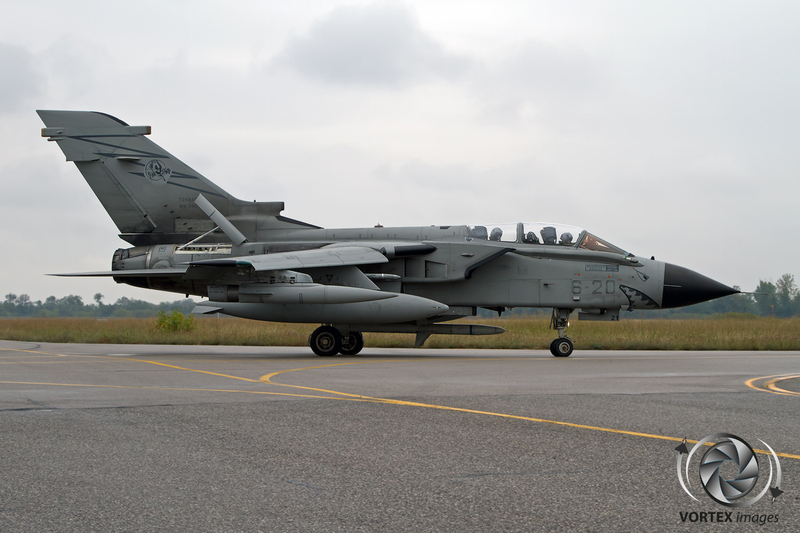 During the TLP crews get to practice how to operate in large formations of different airplanes with different capabilities. 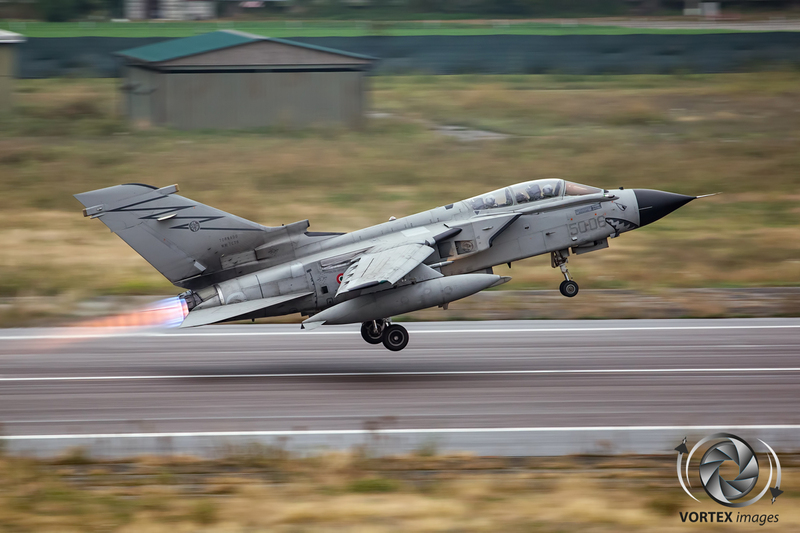 For this reason only sufficiently experienced crews are sent to Albacete, as the pilots need to be at least a flight- or element lead in order to participate, a qualification that can only be obtained while flying in an operational squadron, and not while completing OCU training. With the move of 155 Gruppo into Ghedi, 6 Stormo now operates both versions of the Tornado. The main difference between the A-200C and EA-200B are the capabilities of aircraft. The EA-200B version is specially designed to perform the SEAD (Suppression of Enemy Air Defenses) task, its weapon of choice being the well-known Raytheon AGM-88 HARM (High-speed Anti-Radiation Missile). 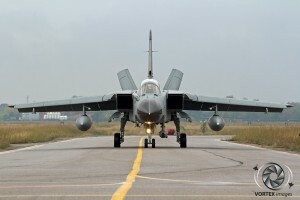 This weapon is an air-to-surface missile which is specifically designed to target electronic transmissions broadcast by surface-to-air radar systems. The EA-200B is easily recognizable from the outside as the aircraft is not equipped with the two Mauser BK-27 cannons that are found in the nose ofthe A-200C. 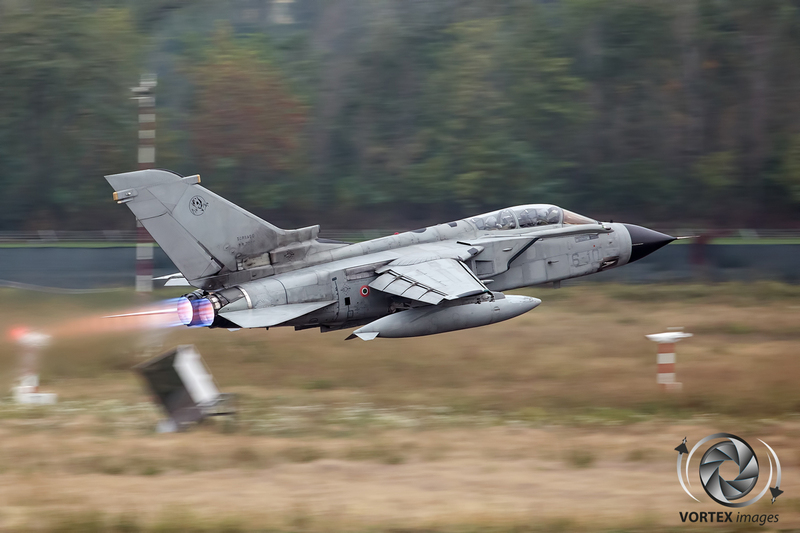 Navigators of the ECR version are specifically trained to use the HARM missile and cannot swap positions with the navigators of the IDS version. In theory the pilots can fly both versions, as the cockpits of both are similar, however this is not common practice. In order to ensure that any pilot can perform their mission with any navigator the Italian Air Force does not make use of fixed crew pairings. 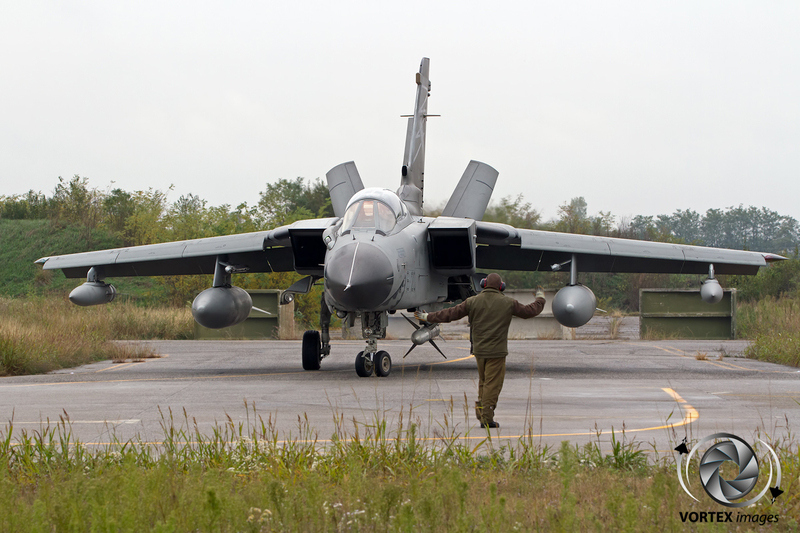 This means that for each flight a pilot will fly with a different navigator, resulting in a great squadron spirit. With the Tornado force now solely stationed on one airbase, all the maintenance for the type is now centralized at Ghedi with 6 Stormo’s maintenance squadron being responsible. 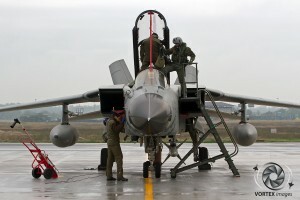 The maintenance squadron performs various levels of maintenance (A to F), which, as explained by Maj. T (Head of Maintenance), the last name is withheld for security reasons, can vary in duration from a couple of days to up to 2 years. She further adds “For every specific check a special list is created with individual parts that have to be checked”. The A and B checks are done on the flight line, with the A check performed after every flight and the B check every 150 hrs. The other checks (are C through F) are performed as follows:. All of these checks are performed on base, with the A through D checks being done by Italian Air Force personnel and the E and F checks done by a combined team of Italian Air Force personnel and civilian contractors (Alenia). 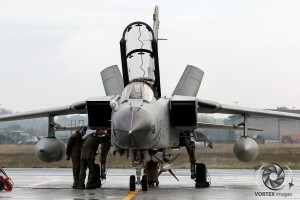 A maximum of 4 planes can go through the E and F checks at the same time due to a lack of enough space to maintain more. 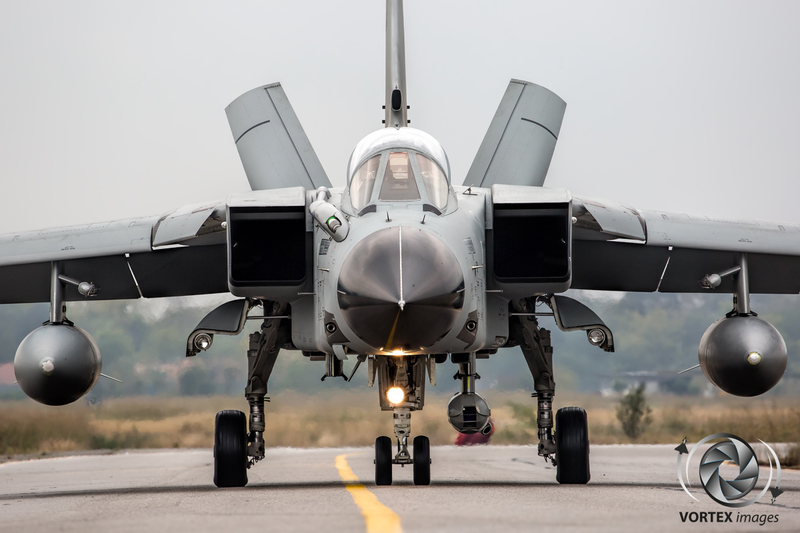 In case more aircraft need to receive a F Check, these aircraft are flown to an Alenia maintenance facility at either Cameri or Turin. 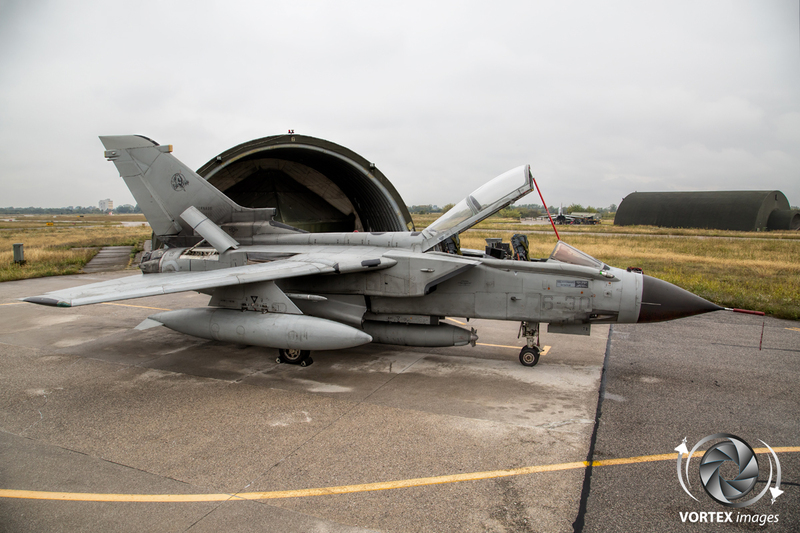 After 6000 hrs the airframe has reached its flight hour limit, and with the current operational tempo many Tornados are rapidly approaching this mark. In order to continue to operate the aircraft after it has reached the 6000 hr mark, the maintenance squadron can perform an extended F check. This extended check is performed with a team of Alenia specialists in order to extend the airframes life by 1000 or even 2000 hours. 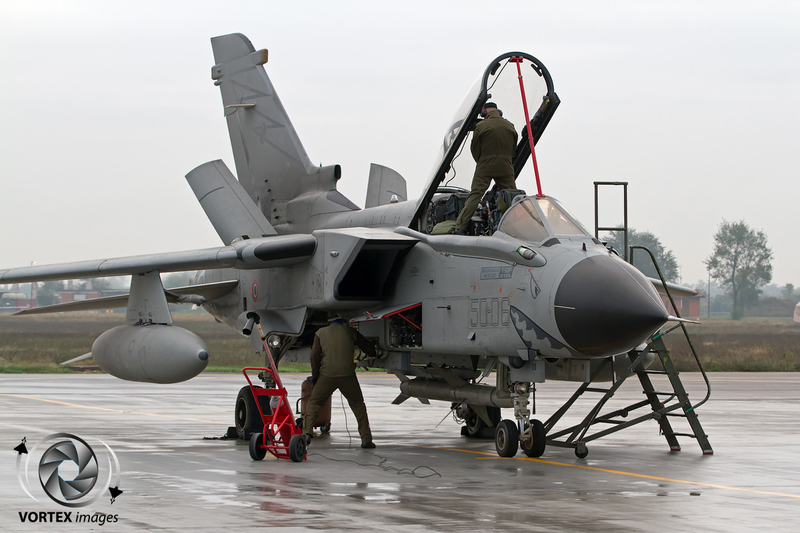 During this extended F check the mechanics will check the airframe much more thoroughly than they normally do during a 2000 hr check. 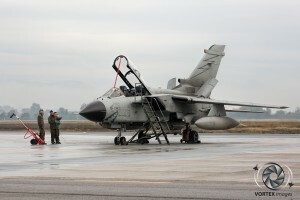 After completing the check, the specialists review whether the airframe can be granted a extension of 1000 or 2000 hrs. 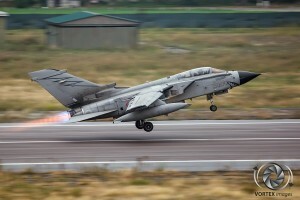 In cases where the airframe has reached its absolute maximum life and cannot be extended any further, a decision will be made whether the aircraft is scrapped or prepared for display. Before the aircraft is scrapped or displayed, all of its still usable parts are removed and refurbished for future use in other airframes. In the case of scrapping, once all the useful parts are removed the airframe is cut in half, before it is sent to the scrap dealer. The future of airbase and 6 Stormo is looking bright, as Ghedi probably will become one of the Main Operating Bases for the Italian Air Force Lockheed Martin F-35A Lightning II aircraft according to Lt.Col C. He further adds “The bright future is well visible at Ghedi as recently a number of new buildings have been constructed such as a state of art Air Traffic Control tower”. 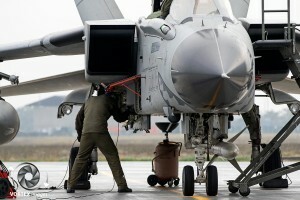 With the likely arrival of this fifth generation jet fighter aircraft a new era will commence for 6 Stormo. 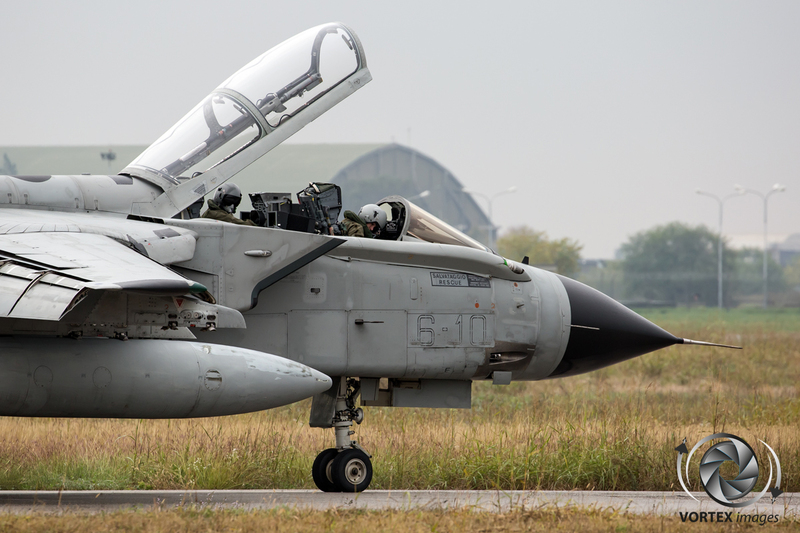 We would like to express our thanks to the people of 6 Stormo, the Italian ministry of defense and the Dutch embassy in Rome for their support in preparing this article.